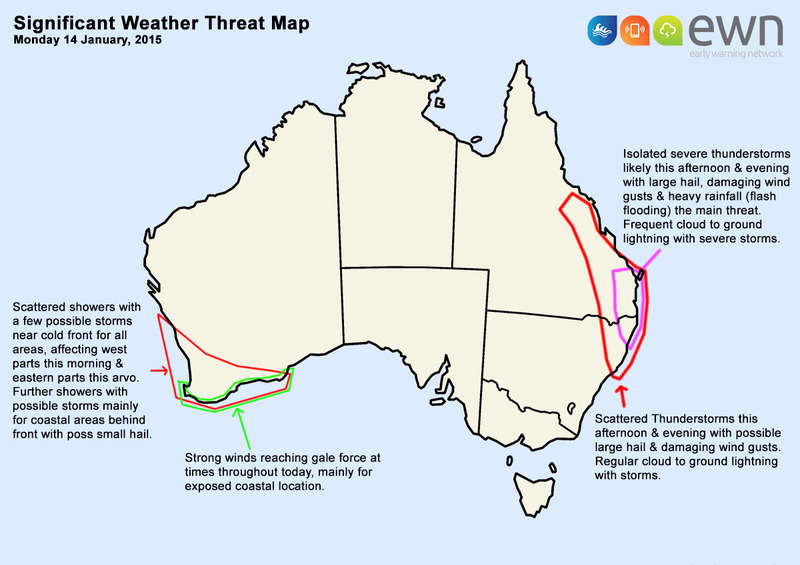 You can find all the daily forecast info in various places all over the web, but you just want to see the stuff that's going to affect your business, whether it's just a city, a state or the whole of Australia. 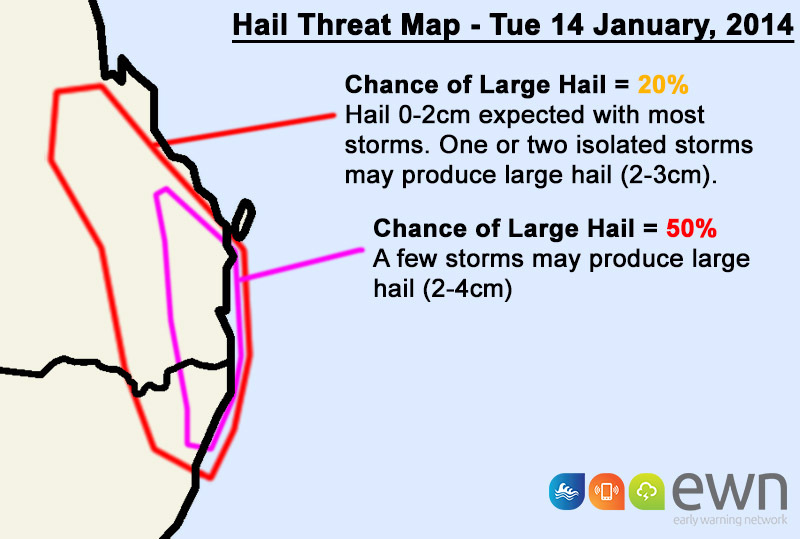 Our National Significant Weather Threat Map is issued daily and shows where severe weather is expected over the coming 24 hours (can be extended out to 7 days if required). These threat maps can be tailored to an organisation's specific needs including risk % and colour coding for particular event types. Just let us know the regions you need covered and what threat information you need, and we can design a service to suit - including sending the map each morning to specific personnel who need to know.